﻿ Is a Steel Building the Safest Option for your Business? 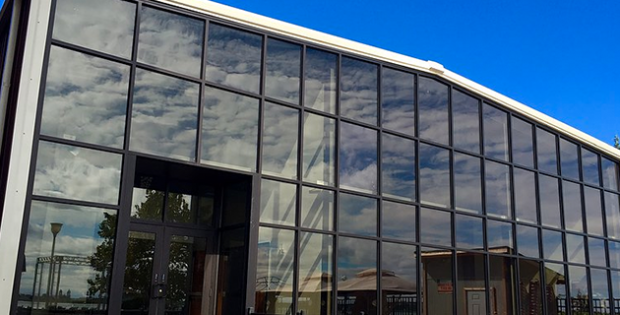 Is a Steel Building the Safest Option for your Business? Your business is your livelihood. It’s probably the reason you can afford the house you live in and provide for your family. With so much riding on the business, I’m sure you analyze and even overanalyze every decision. You wouldn’t be the first to admit it. Nothing should be left up to chance because, frankly, your livelihood is too important to gamble with short sighted savings. When it comes to safety, in every meaning of the word, you’ll want to investigate a move into a pre-engineered steel building. Pre-engineered steel buildings are cost effective in the long run. You may look at wood buildings and think, “These are cheap and I need to save as much money as possible right now.” However, choosing the cheaper alternative can burn you down the road. Honestly, it’s short sighted and unrealistic. A quality pre-engineered steel building will last for multiple decades without having to replace parts. A wood building can rot, warp, buckle and twist. Insects and termites feed on wood, but can’t harm an inorganic pre-engineered steel building. This resistance to nature tends to result in lower overall maintenance costs. Save your company’s hard earned money, and don’t dip into the business emergency fun to replace panels and boards every couple of years. That’s the safest route you can go with your money. A pre-engineered steel building is also compatible with green technologies to harvest solar, wind and geothermal energy to lower your energy bill. In fact, if going green is in your plans, it requires zero trees to manufacture a steel building, not to mention the steel is recyclable. A pre-engineered steel building is compatible with HVAC systems, motion sensor lights and skylights to take full advantage of natural light and reduce the time and money allocated to unoccupied rooms. These features will provide future financial safety by reducing your energy bills. I’m sure you have plans to expand your business as expansion usually translates to growth and success. When you have a pre-engineered steel building, expansion is easy. If your current building was constructed with post and beam construction, you’ll need to install a clear-spanning moment resistant frame. If you’re purchasing a new pre-engineered steel building, ask your project manager about the potential for future expansion. While we’re on the topic of space, did you know a pre-engineered steel building utilizes a clear span frame? A clear span frame supports the load without incorporating any intrusive poles. This allows you to efficiently use all of the space under your roof. It doesn’t matter if you run a feed store, an airplane school or even a renovated hotel, you’ll have room to store your inventory, products and house people safely. We’re talking about an engineered system here. Your pre-engineered steel building is your safety net for your business and can house whatever you may need. If a bigger piece of farm equipment is introduced, and you need to have it, you’ll have the space to store it and keep it out of the elements. When success finds its way to your business, you should feel safe because you have a building compatible enough to adapt to your needs. I’ve saved the best for last. Steel buildings are some of the most durable building solutions on the planet. They are engineered to withstand the heavy snow in the northwest, the gale force winds in hurricane prone areas, and even strong seismic activity of southern California. The high quality steel isn’t combustible or weak against fire, and some companies, like Armstrong Steel offer 50-year structural warranties to back up the durability claim. 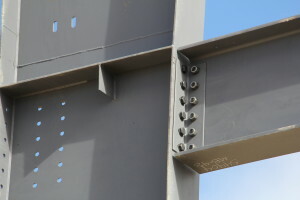 Steel buildings are like a grown up Erector set, with bolt together connections and pre-punched holes. You’ll be able to protect your belongings, your business, and your employees. Still, all metal buildings are not created equal. Do your research, because you ‘get what you pay for’ in construction. Cheaper usually doesn’t mean better. Ask your steel building supplier where they will get their buildings. Will they manufacture them themselves? Or are they a steel building broker? Brokers are simply ‘middlemen’ who call an actual manufacturer and order you a marked up building without letting you make your own selections. It’s much safer to do business with a manufacturer, make your own accessory selections, and customize the building you want, not the building you’re told to buy. Running a business is hard and taking care of your family and bills can be even harder. Bottomline: Take advantage of the safest option for your business, and almost always, the safest option is a pre-engineered steel building. Subscribe to our Newsletter! We’ll email you free resources & monthly updates, sent straight to your inbox. We’ll email you free resources & monthly updates, sent straight to your inbox. How Can a Metal Barn Save a Farmer Money? Why Don’t You Want to Expand Your Business?